This rich, bounteous cream is an ideal source of softness and wellbeing for hands. It nourishes, moisturizes and protects them from the harm caused by the elements. The special formula is packed with active ingredients from plants, including lavender extract from plantations in the Italian Apennine Mountains, coconut oil, honey and precious shea butter. It offers authentic beauty care for the hands, keeping them silky and soft while also releasing the wonderful scent of lavender with every use. This rich, bounteous cream is an ideal source of softness and wellbeing for hands. It nourishes, moisturizes and protects them from the harm caused by the elements, while also releasing the wonderful scent of lavender with every use. 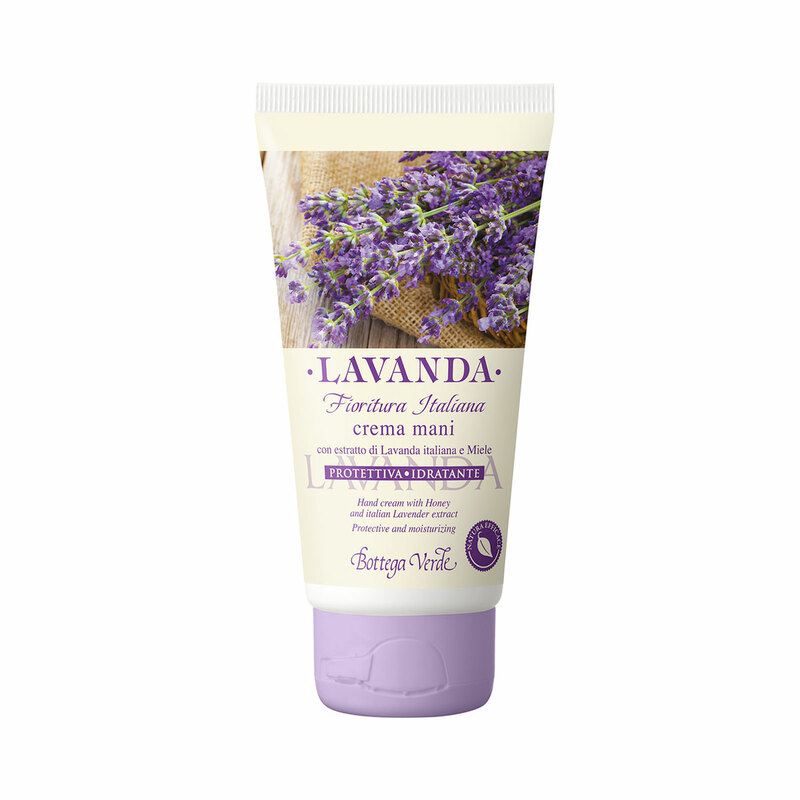 The special formula is enriched with lavender extract from plantations in the Italian Apennine Mountains. Direction for use:Spread a reasonable amount of the cream over completely dry hands several times a day and rub in until it is fully absorbed. Suggestions:For everyone who wants to take care of their hands. Characteristic:Cream enriched with precious organic shea butter, lavender extract, coconut oil, honey, vitamin E and allantoin.